FEBRUARY 2008 -- Have you finished making your plans for the coming year? What are you waiting for? Today can be the first day of the best Grange year you have ever had. Think positive. Pursue casual acquaintances. They may just be waiting to be asked to join the Grange. Your own actions and activities are the best free publicity the Grange can get. Don’t speak in a negative manner. Stress all the good points. Every member of your Grange is a walking, talking advertisement. Remember, we need positive publicity. 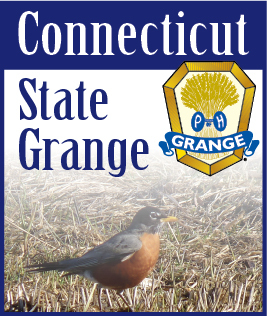 Forget yesterday and let Today be the first day of our newer and better Granges in Connecticut.